There are a lot of women who have accepted and embraced the idea that beauty comes with pain. They still go to work in high heels though they make their feet feel excruciating pain. They get their body hairs waxed to look flawless. Some even try cosmetic surgery and liposuction to achieve their desired look. Fitglam Waist Training Corset is one of the tools to achieve a fitter and sexier body without the pain. Waist shapers, waist cinchers, sauna vests, body shapers, waist trimmers—waist training corsets are called many names and come in different colors, features, and functionalities. 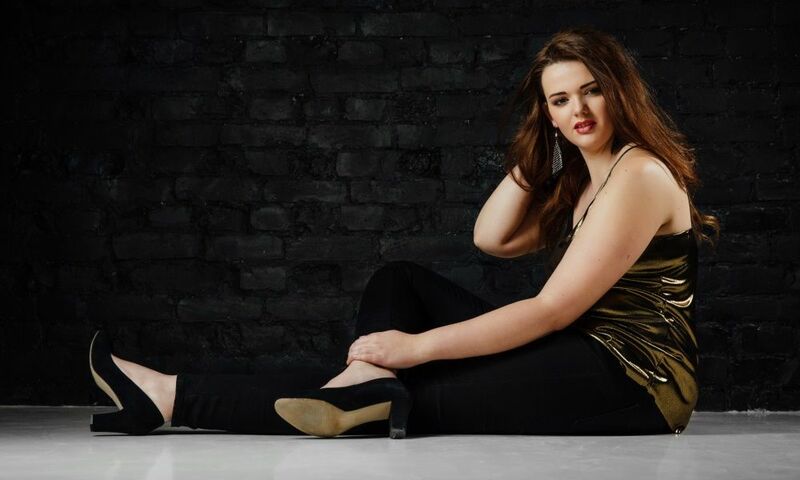 They are popular because of the many benefits they provide including an hourglass figure for women. However, one of the things that hold women back is how uncomfortable most of these corsets feel when worn. Most of them are bulky because they need to provide compression to shape the body into something similar to an hourglass. The material used such as Latex also has the potential to irritate the skin. Those with bonings make some waist cinchers feel very stiff, the users cannot move freely. It is a challenge to find something that would compress but would feel comfortable at the same time. It’s a good thing that Fitglam Waist Trainer Corset is here. For most of those who tried it, it feels like a dream come true. Fitglam Waist Trainer Corset is made of Neoprene and Spandex. Its first layer is made of Neoprene, while the second layer that also serves as the enclosure and adjustment layer is made of Spandex and Velcro. It also has four bones made of acrylic placed vertically at the back. It comes in many different colors including the following—beige, black, blue, lavender, orange, purple, rose, burgundy, and red. It is available in four sizes, from small to extra large. The measurements are as follows—Small – 23.5-29.5 inches, Medium – 27.5-33.5 inches, Large: 31.5-37.5 inches, and X-Large: 35.5-41.5 inches. The Neoprene layer goes around the tummy and back, while the attached Spandex seals the fit using the Velcro enclosure. The thickness of this makes the midsection and back feel warmer to stimulate sweat production. It helps generate a healthy kind of heat to increase blood circulation and burn extra fats. On the other hand, the second layer is made of pierced fabric for breathability of the skin while being compressed. 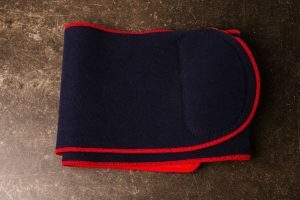 The Velcro on the second layer is wide to give more room for adjustments as the waistline of the user decreases. Lastly, the bonings help maintain proper posture and support the back of the user while standing or sitting for extended periods. Since they are made of acrylic, they not feel too hard and stiff. It is a lot more comfortable than other waist trainers. As aforementioned, most corsets use hooks and zippers to close and seal the compression. However, the hooks make them difficult to put on. Another person is usually needed when wearing such kinds of waist cinchers. Fitglam Waist Trainer Corset uses Velcro enclosures instead of zippers and hooks. This makes it easier to put on even when a user had just given birth, for instance. The wide Velcro also makes adjustments easier to do and provides more adjustment options. A size XL woman can easily go small with the help of this corset. The pierced design of the second layer also makes it more comfortable than other similar products because as the first layer is compressing the midsection and making it feel warmer, the skin can still breathe properly because of the tiny holes around it. It helps correct posture and compresses the belly while sitting for long periods. One of the most common reasons for a bigger than usual belly is too much sitting. This is the reason why people are advised to practice standing up after a meal or even when working in front of the computer. 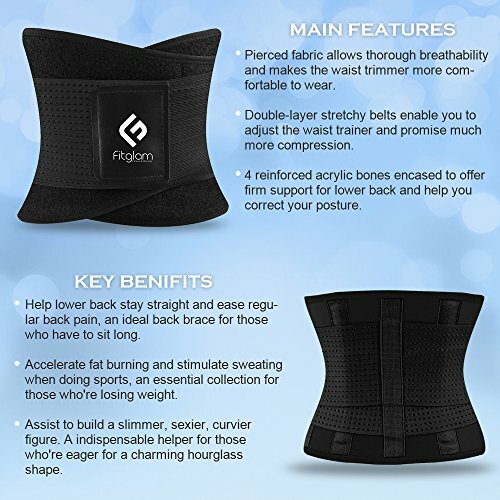 If sitting down for extended periods cannot be avoided, Fitglam Waist Trainer Corset can be worn to support the back and push the stomach in, so it does not become bigger over time. This corset helps with post-partum recovery. As mentioned above, even a woman who had just given birth can put on this corset very easily. Wearing compression belts after giving birth is beneficial because they help the midsection go back to its normal form. While a woman is pregnant, most of her organs are pushed upwards or backward. Using this corset would help put them back in their proper places by gently pushing the tummy inwards. It helps trim down the belly area. A lot of people have attested that it really trims down their waistline. While doing exercise with this waist trainer, the tummy area is targeted. It produces more heat, improves blood circulation, and produces more sweat. These are the extra and unwanted fats that users have been wanting to get rid of. Users can lose three to five inches in one month of use. This product has two main disadvantages. The first one is some people find it bulky. However, it is because of this bulkiness that the burning process in the midsection is stimulated. Thin corsets do not help much with burning calories and excess belly fats. The second disadvantage is the possibility of it folding on the sides when sitting down. This can be resolved by making sure to get the correct size, placing it on the body properly, and ensuring that it is snug. Fitglam Waist Trainer Corset is a waist cincher that does not feel uncomfortable. It helps keep the abdomen flat and the back supported while not feeling life-threatening. It also effectively makes the waistline smaller and helps with women who had just delivered a baby. Nevertheless, there are some people who find it bulky, and a few think that it does not feel snug. Unlike other waist trainers such as the one from Lover-Beauty, Fitglam Waist Trainer Corset does not have any hook or zipper that are not only difficult to close and adjust, but also feel constricting. Because of the Velcro and the pierced second layer made of Spandex, Fitglam waist trainer feels snug, yet comfortable. Fitglam Waist Trainer Corset is the best waist trainer and back support in one. It has a lot of benefits to the users including post-partum recovery, belly compression while sitting down, faster weight loss, and posture support. All these benefits are achieved without compromising the comfort of the users. It is indeed a dream come true for everyone who wants to have hourglass figure without pain.